The government and housing developers are throwing all sorts of incentives at prospective buyers, including more than the kitchen sink, for properties purchased during the six-month, nationwide Home Ownership Campaign (HOC) 2019 in the hope that the large property overhang would be reduced. 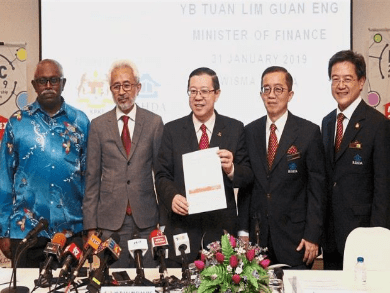 The campaign, which runs from January to June, is aimed at easing the country’s home-ownership and overhang dilemma “as much as possible,” said Finance Minister Lim Guan Eng. According to the National Property Information Centre, the number of unsold houses in the country reached a record high of 30,115 units in the third quarter of 2018, valued at RM19.54bil, which was a 48.35% increase from 20,304 units in the previous corresponding period.